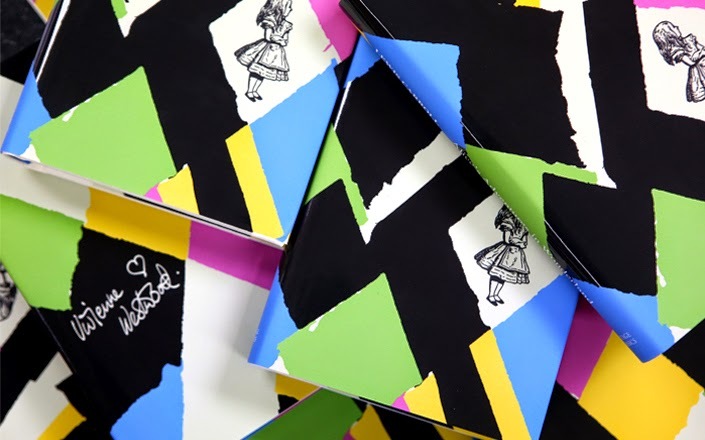 To mark the 150th anniversary of its publication, Vintage Books has teamed up with iconic British fashion designer, Vivienne Westwood, to create a stunning special edition Alice’s Adventures in Wonderland that also includes its sequel, Through the Looking-Glass and What Alice Found There, hitting the shelves earlier this month. 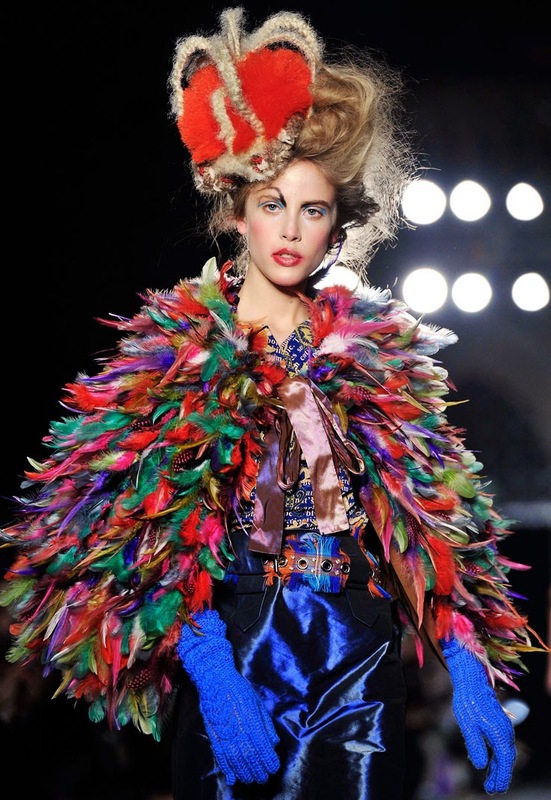 Having previously been described as ‘the Alice in Wonderland of fashion’, who else but Westwood should have designed the latest incarnation of Lewis Carroll’s whimsical work? In the past, she has revealed that Alice’s story was one of her favourite childhood books, and looking and looking back at her collections, it’s easy to spot its influence on her work. Falling deep into the earth through a rabbit hole, playing croquet with the Queen of Hearts; passing through a mirror to the inverted world beyond, battling the Jabberwocky – a little girl’s journey to discover her own identity and find her place in the world around her, Alice’s literary legacy has become forever ingrained into popular culture. On Westwood’s cover-sleeve, one of the instantly recognisable John Tenniel illustrations of Alice is set against a striking deconstructed Harlequin print the likes of which has been a favourite of the trailblazing label since the 80s, finished in an attractively tactile mix of matt and gloss. Derived from the costume of the character in the age-old Italian Commedia dell'arte, the use of a Harlequin pattern is certainly apt; comedic, mischievous, and not a little sinister, he has plenty in common with the Cheshire Cat whose intentions are forever unclear and whose famous grin somewhat menacingly brims with long, sharp teeth. Removing the book-sleeve, in stark contrast to its jagged, colourful chaos, we find a plain, white cloth binding below; yet, stood firmly in the same spot as she was before is our heroine, arms boldly crossed, immovable. A simple, powerful visual statement that hints at the strength and self-assurance Alice finds within its pages. As well as its decorative cover, Westwood has also designed the book’s endpapers, which feature a dizzying jumble of anarchistic doodles and quotes, the style of which harks back to her Punk roots when she her designs first began to redefine street culture in the early 1970s. Moreover, this special gift edition also includes an introduction written by the designer, consisting of an explanation as to why Alice’s adventures have always inspired her; a staunch political activist and Green Party supporter, Westwood has also added a foreboding ‘Climate Map’ and a hard-hitting text entitled ‘End Capitalism’. Despite this though, it has to be said that, whilst her reasons behind it are unquestionably admirable, the inclusion of Westwood’s rallying anti-capitalist speech remains the forcible attachment of a distinct and deliberate political agenda, however noble or humane, about which Lewis Carroll would have been be utterly horrified. Contrariwise to her message, by appropriating Alice’s tale for her own ends, is she arguably not also guilty of committing the very sins of propaganda she is warning us to reject? After all, for those discovering Alice for the first time, Westwood’s introduction has the potential to corrupt their engagement with the text by prematurely tainting their individual readings with her own. I absolutely applaud her tireless commitment to climate change awareness and the rejection of the greed-driven establishment, but, given her plea for us to independently think for ourselves, would such politically-charged personal reflections on the text not be better suited as a postface to the literary text?